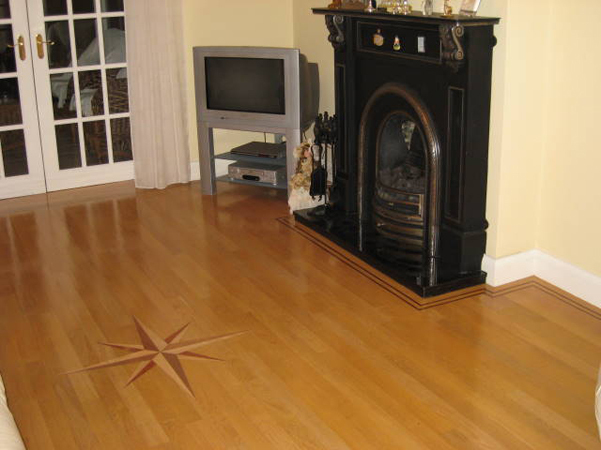 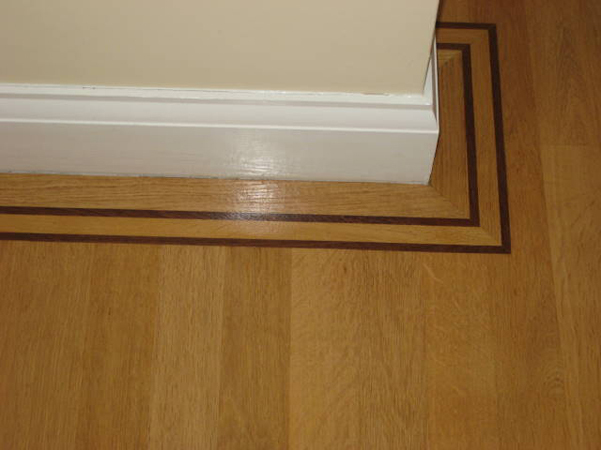 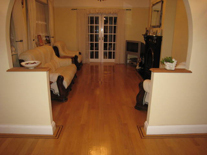 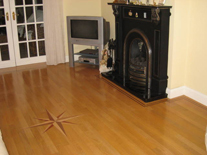 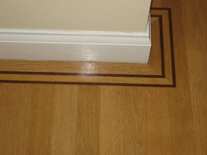 Supplied and installed Exquisite Grade French Oak Parquet Strip with a 2 Line Wenge Border. 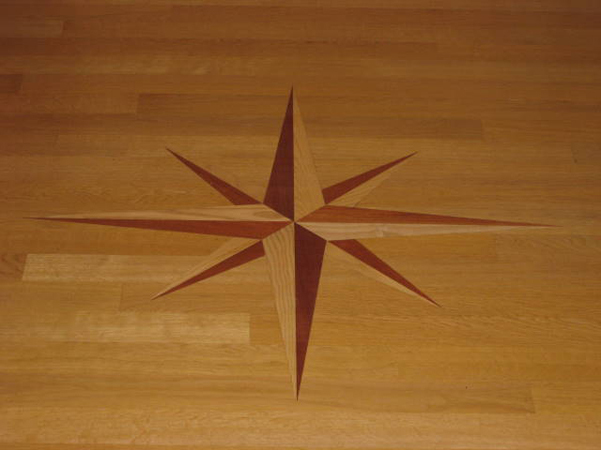 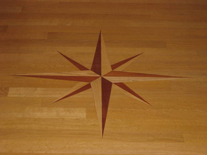 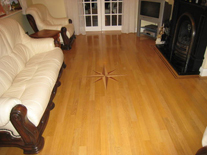 Purpose made star design created using Ash, Mahogany and Afromosia. 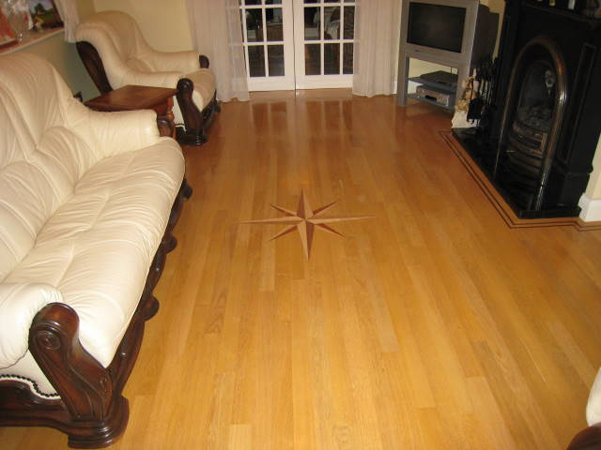 Sanded and finished with Bonakemi Traffic Polyurethane Lacquer.